Emaar Properties has priced its first international fixed-income offering, raising $500 million via the issuance of trust certificates with a maturity of 5.5 years at a yield of 8.500 per cent. Emaar has successfully executed the first public offering out of the region in 2011 through the issuance of a very well-received $500 million Sukuk. The transaction, which was structured as a Sukuk al-Ijarah and issued by a Special Purpose Vehicle (Emaar Sukuk Limited), constitutes the inaugural drawdown under the company’s recently updated $2 billion Trust Certificate Issuance Programme. 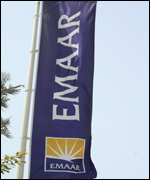 Following a series of investor meetings arranged in Asia, the Middle East and Europe, Emaar was able to capitalise on the investor feedback, conducive market environment and relative lack of Shari’ah-compliant offerings in recent months to raise $500 million from the international capital markets. HSBC, Standard Chartered Bank and the Royal Bank of Scotland acted as joint arrangers on the programme update and joint bookrunners on the offering. Dubai Islamic Bank acted as co-manager on the offering. Emaar’s delegation at the investor meetings effectively communicated the credit story of the company and generated substantial interest in the offering. Ultimately, the company priced a 5.5 year $500 million with a yield of 8.500 per cent on the back of an orderbook of $1,700 million. The proceeds of the fund raising exercise are intended to support Emaar’s general capital requirements and address up-coming re-financings. Ultimately, the distribution profile was very well balanced, with European investors accounting for 52 per cent of the transaction, while Middle East, Asian and US (offshore) investors accounted for 38 per cent, seven per cent and three per cent, respectively, of the issuance. In terms of investor type, the offering was distributed as follows: 60 per cent for fund managers, 29 per cent for banks, eight per cent for private banks and three per cent for insurance companies.